The Employment Department’s latest job vacancy survey shows Oregon’s private employers reported 49,500 job vacancies in winter 2018. They reported a similar level of job vacancies (50,600) the previous winter. While the total number of vacancies remained stable over the year, there was a notable increase in the number of job vacancies with “other” education requirements. These job openings required some certification or license in addition to a high school diploma, but not an associate, bachelor’s, or advanced degree. Vacancies with other education requirements increased from 2,900 in winter 2017 to 7,300 during winter 2018. They included a diverse group of occupations, such as electricians, nursing assistants, automotive service technicians, firefighters, physical therapists, truck drivers, and plumbers. This category of vacancies paid well above average, $24.36 per hour compared with $16.44 for all job openings. Job vacancies with postsecondary certifications and other education requirements tend to be more difficult to fill than other openings. 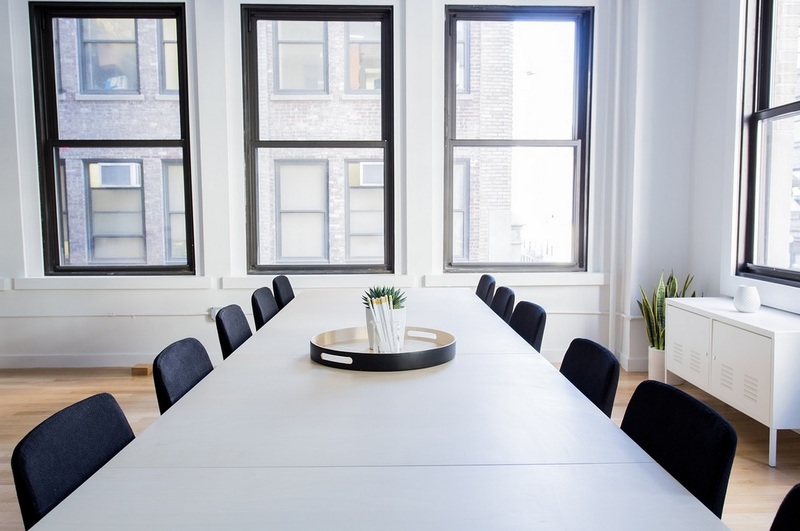 Businesses are more likely to report difficulty finding qualified candidates or applicants with proper certifications for these job vacancies. These types of vacancies are also less likely hard-to-fill than others because of unfavorable working conditions or low wages. Difficult-to-fill vacancies with a lack of qualified candidates or lack of certification may be an area where new or strengthened workforce training, educational programs, or other intervention might ease some business difficulty finding workers. More detailed information about these and similar types of job vacancies can be found in this article. 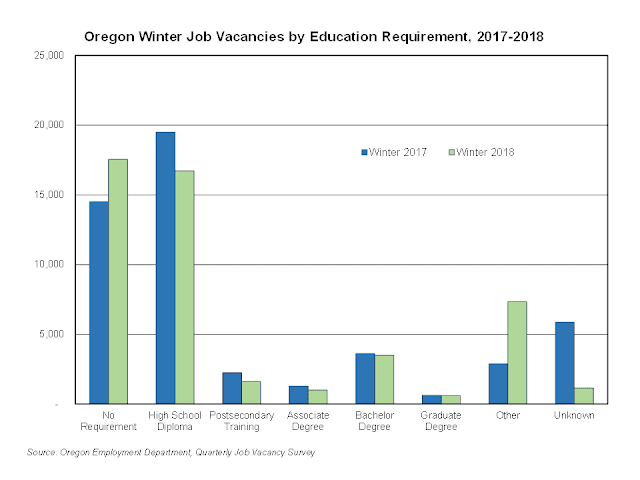 More information about all of Oregon’s job vacancies, including quarterly and annual indicators for Oregon and sub-state areas, can be found at QualityInfo.org under the Job Vacancy Survey section of the Publications page.